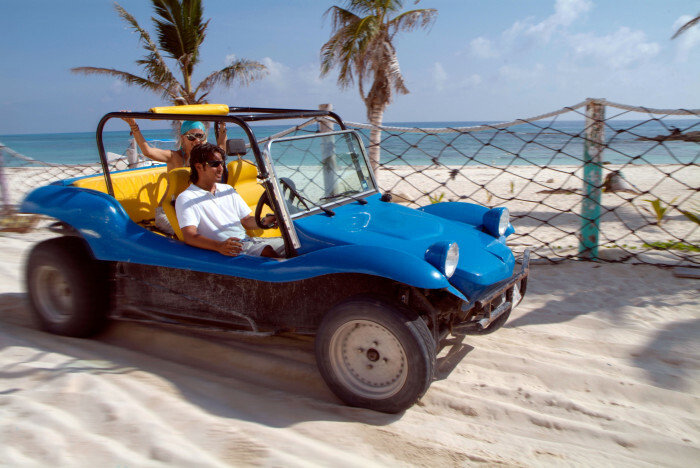 Feel the cool Caribbean breeze in your hair as you drive your very own quirky dune buggy round the whole island. 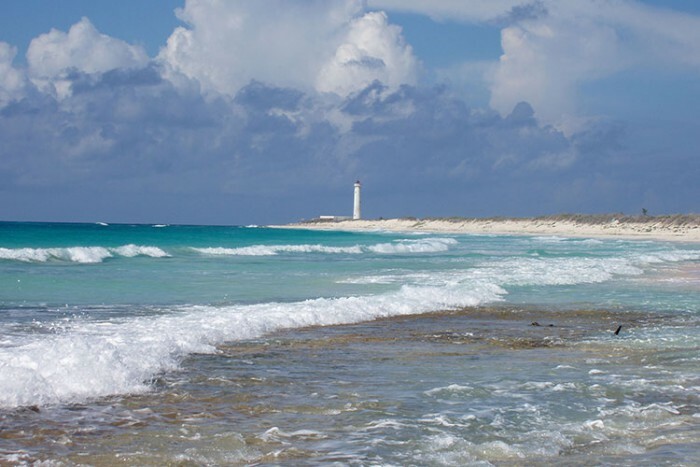 Snorkel a shallow reef, enjoy a beach break and amazing ocean views, see a small Mayan ruin, have an authentic Mexican lunch, look for crocodiles, climb an historic lighthouse and learn about tequila. 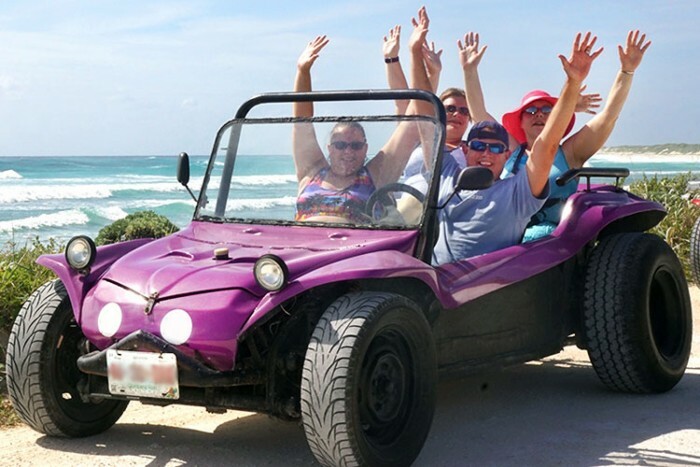 After your guide greets and briefs you at your convenient meeting point, you'll jump in your open top dune buggy and head off in a caravan with your fellow adventurers and the guide leading the way. 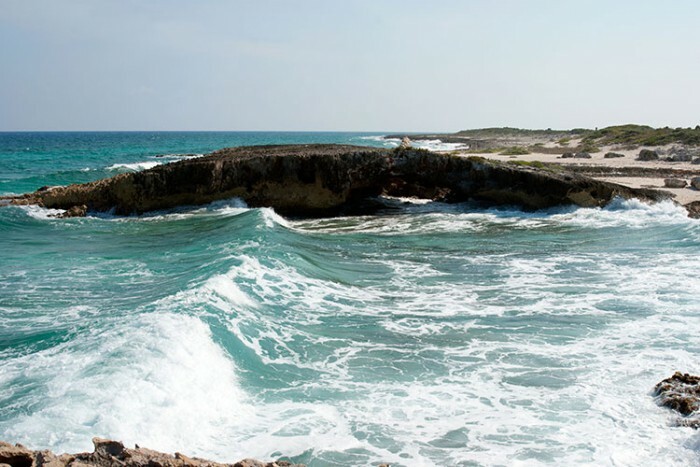 You'll enjoy a scenic drive along and a stunning coastal road on your way to the first stop at the beautiful Punta Sur Eco Park, an ecological reserve on the island's southernmost tip. 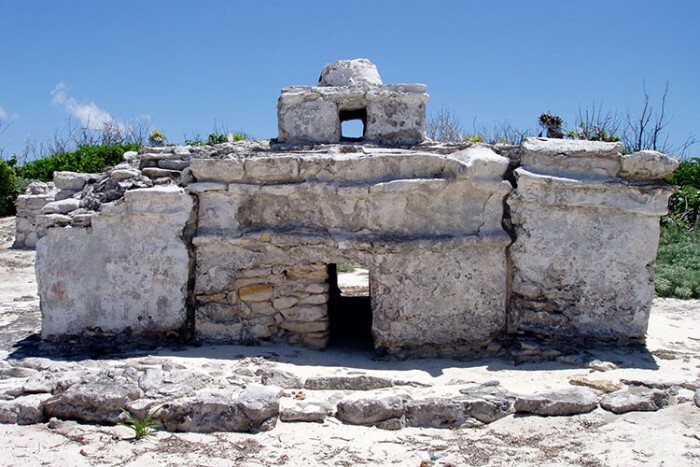 Upon arrival you will visit El Caracol, a small Mayan ruin which in the past, remarkably, was used as a weather warning system. 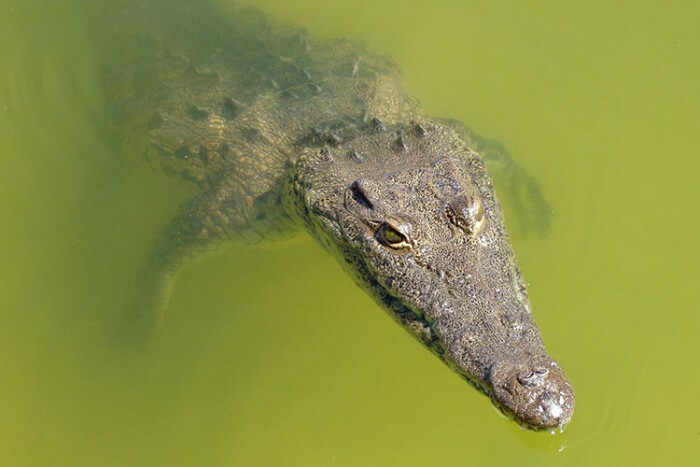 Afterwards, look for crocodiles from an observation tower and discover the Colombia Lagoon which feeds and provides balance to the coral reef formations. Next you'll enjoy some off-roading to the beach, but not before visiting the 20th century lighthouse along the way, which you can climb if you wish and enjoy the panoramic views from the top. When you arrive to Punta Sur's beach club your jaw is sure to drop, as you see the beautiful long curved stretch of pure white sand for the first time. 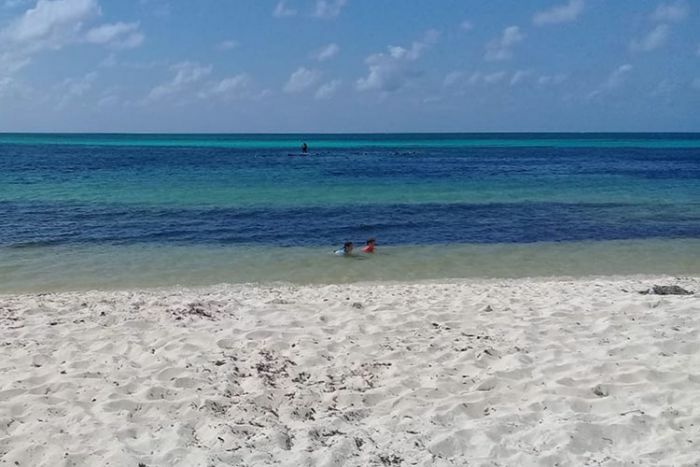 Here you can enjoy the crystal clear waters of the Caribbean for a beginner's snorkel experience, or simply relax at the beach club if you prefer. 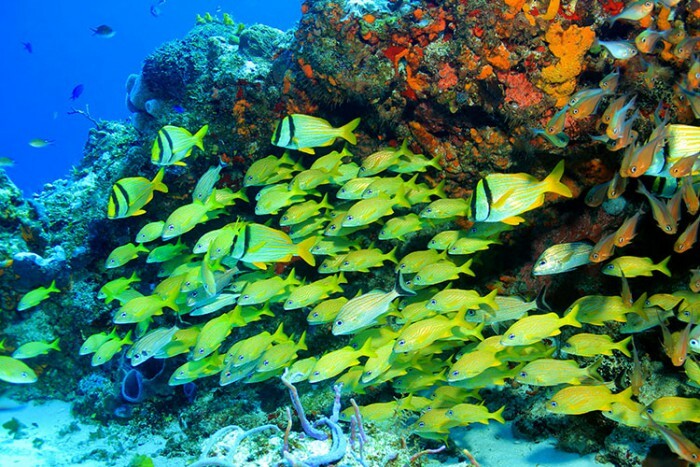 Certified guides will provide safety tips and instruction to the snorkelers before leading you out to see the colorful tropical fish and delightful array of sea life Cozumel has to offer. 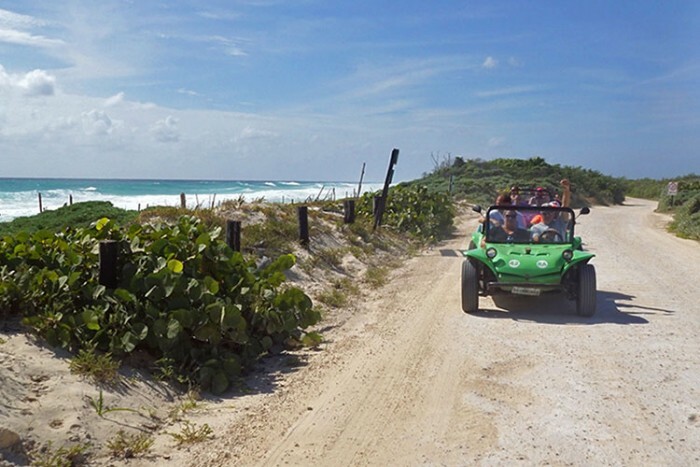 By this time you'll be getting hungry, so you'll jump back in your buggies for a little more off-roading before stopping for lunch at a restaurant with amazing ocean views on Cozumel's east coast, known locally as "The Other Side". 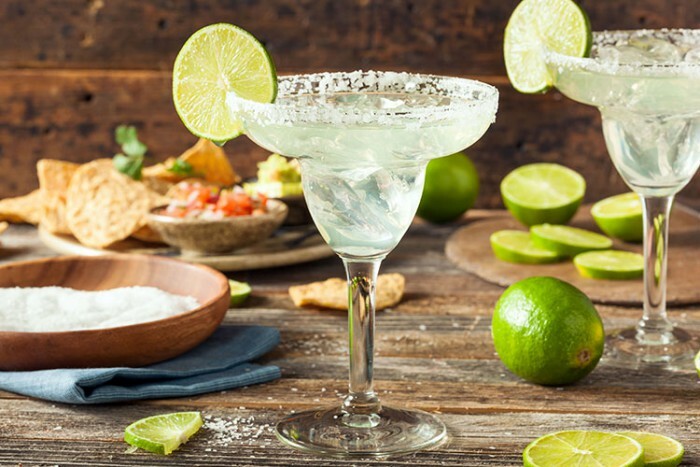 Tuck in to a deliciously tasty authentic Mexican meal of chicken, beef, fish or vegetable fajitas. The food is included and drinks are available to purchase too. Next you continue your drive along the famous east coast. Take in the breathtaking views as you look out across white sand beaches, rock formations and the wide open Caribbean Sea. Finally, you'll finish back at your cruise terminal, accommodation or other convenient drop-off point. Tired and happy you'll say goodbye to the new friends you made on the tour and that night you'll be dreaming about coming back and doing it all again! Different types of buggies are available, for up to 4 or 5 people. They are all converted classic VW Beetles and are therefore not new vehicles. Each has its own quirks and all are manual transmission. If you prefer newer vehicles this tour is also available in Jeeps. We would do this again. Much appreciated and well worth the $$. Mon-Sat at 8.30am, 10.30am and 1.30pm (meet 15 minutes beforehand). Other times available upon request for private tours with a minimum of 4 people. Adults/Children (6 yrs or over), $64 per person. Small Children (4-5 years), $15 per person. If there are only 2 in your group you may be put with 1 or 2 others and share the driving. 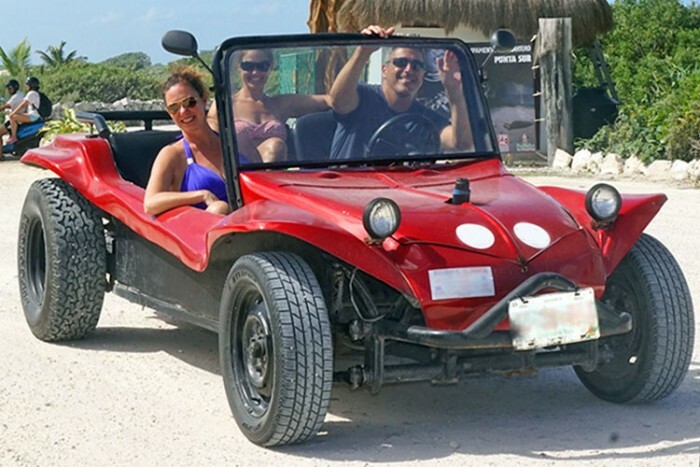 Or, to guarantee a Dune Buggy just for the two of you book and pay for 3 people instead. Cash recommended for tour balance upon arrival. Visa and Mastercard also accepted but subject to 16% fee, variable exchange rates and bank fees. 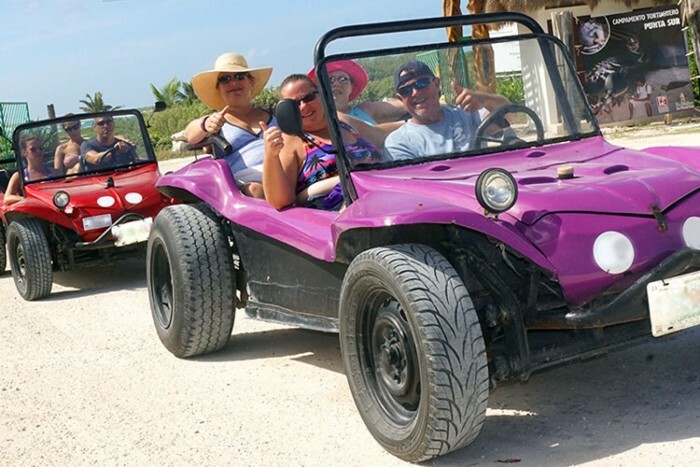 There are inherent risks involved with Dune Buggy vehicles and guests must be aware of them before deciding to participate in this activity. The tour contract is with the operator, not This is Cozumel. All safety requirements and considerations are the responsibility of the operator. The exact order of the tour route may change on the day if it is necessary for operational reasons. For cruise passengers arriving to the Punta Langosta pier the meeting is just outside (most NCL, Disney, MSC and some others). Guests staying at hotels in Cozumel will be picked up from the lobby or main vehicle entrance. Guests arriving on the ferry from Playa del Camen will be picked up from a meeting point a 270 yards (250m) from the pier. It's very easy to find and only a 3 minute walk. This tour is not suitable for pregnant women or people with back injuries, asthma or epilepsy. Drivers must present a valid licence, be at least 18 years old and may not consume alcohol. Recommended minimum age to participate in this tour is 4 years. Minimum age to snorkel is 7 years. 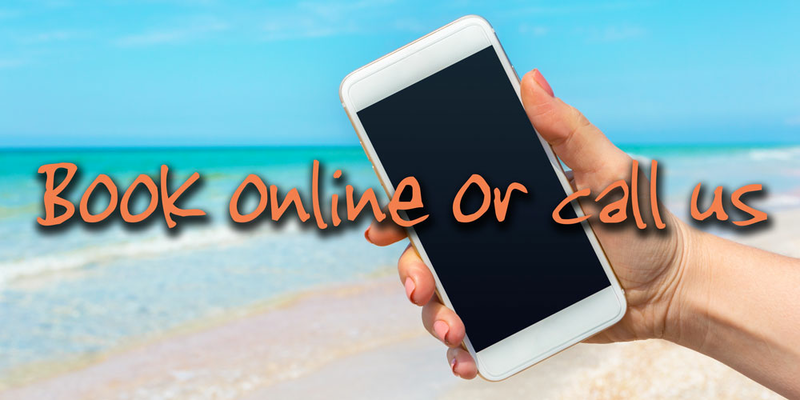 If you only book for 1 or 2 people you may be put in a Dune Buggy with others and share the driving. 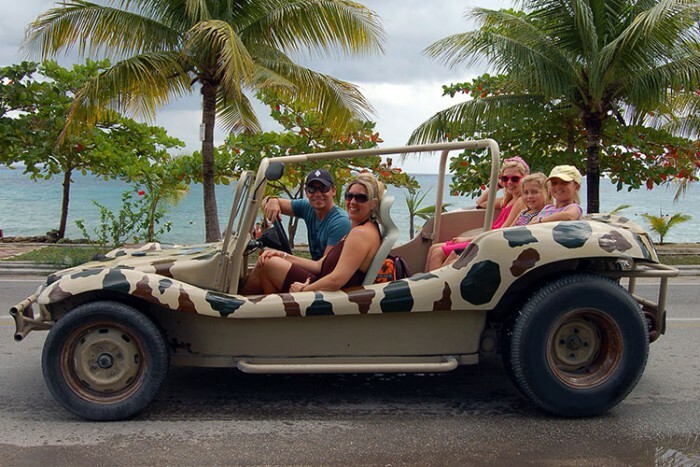 Or, to guarantee a Dune Buggy just for you, book and pay for 3 people instead.